• Bonded retainers (permanent or fixed): These are small metal bars glued behind the upper and lower front teeth to maintain them in position. They are not visible from the front or when smiling. They are advantageous since they require minimal compliance, other than maintaining impeccable hygiene. 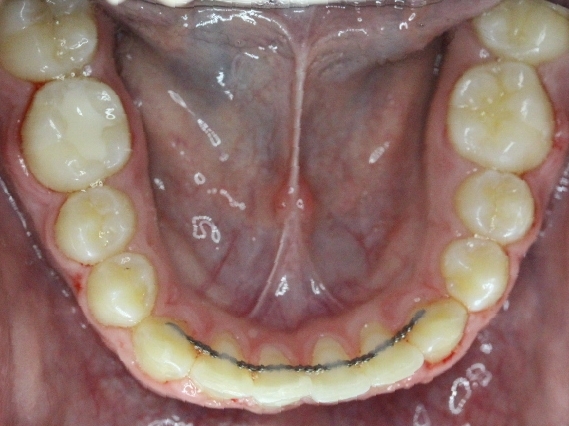 The permanent retainer only touches the front teeth; therefore, a removable retainer is also required to maintain the position of the posterior teeth. • Traditional retainers: This kind of retainer is made of colored plastic portion and a metal bar that rests across the front teeth. They require adjustments over time. • Clear retainers: These retainers are clear and cover the whole tooth, including the biting portion of the tooth. 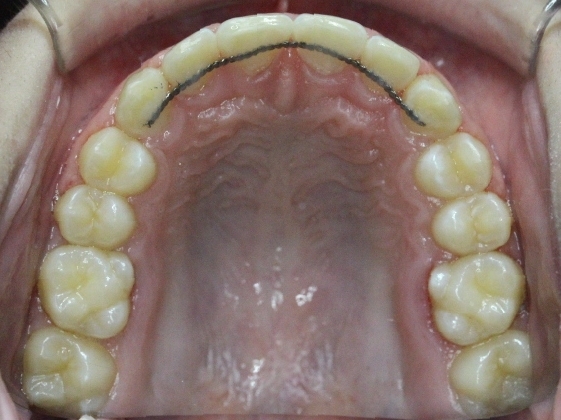 They are fragile and require consistent wear, since they cannot be adjusted as easily as Hawley retainers. • Occlusal splint: These are similar to essix retainers, but slightly thicker. They are helpful for patients who grind at night. • Positioner: This type of retainer is slightly thicker and looks like a mouthguard. It is helpful in maintaining the front teeth in front of the lower teeth in patients that have a strong lower jaw tendency. Since it is also working to train jaw muscles, active wear for 3-4 hours during daytime, as well as the usual nighttime use is required.